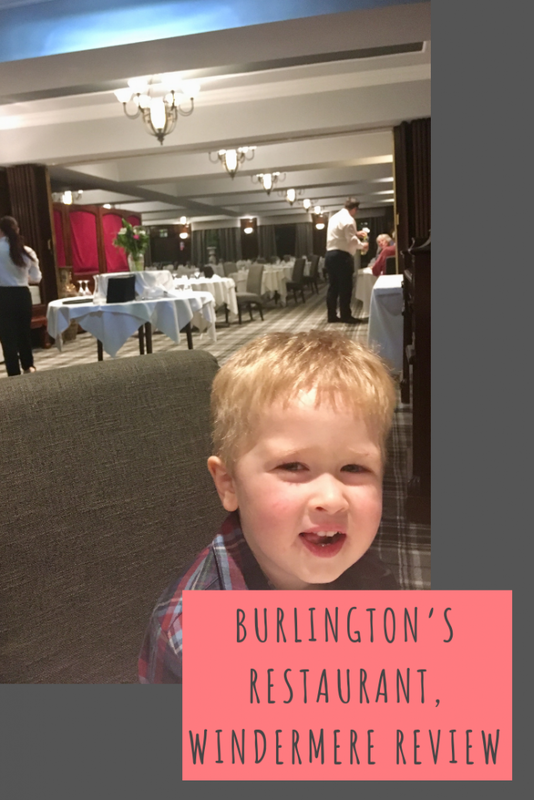 During our stay at Beech Hill Hotel and Spa we were invited* to eat at the Burlington restaurant. 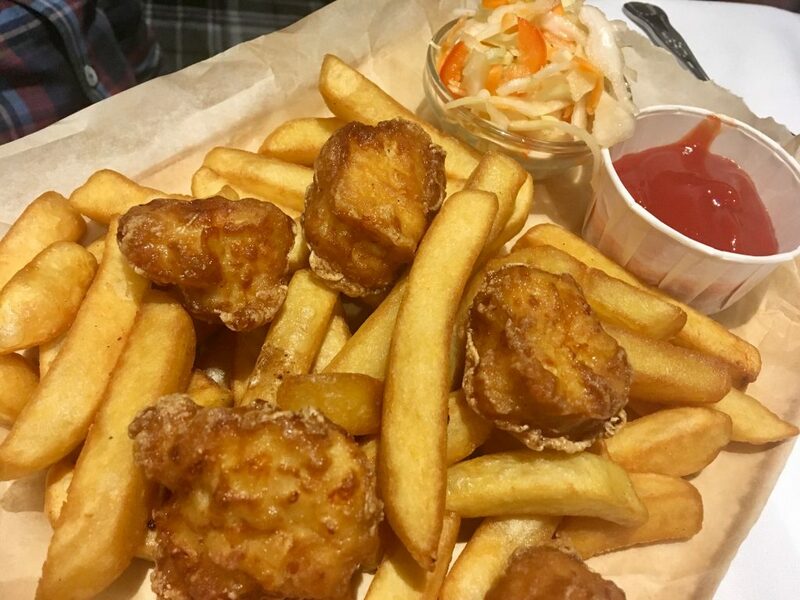 With breath-taking views over Lake Windermere and a lovely warm welcome, the restaurant is wonderfully laid out and surrounded by paintings and a country style feel. Named after the local slate, Burlington’s was somewhere we were looking forward to dining. 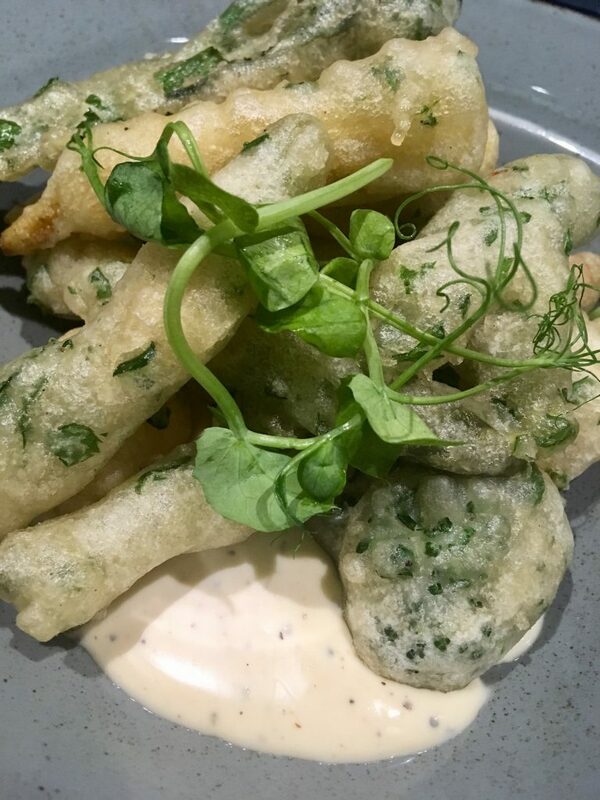 The head chef Lukasz specialises in French and English cuisine and uses only the finest, freshest local produce and ingredients. 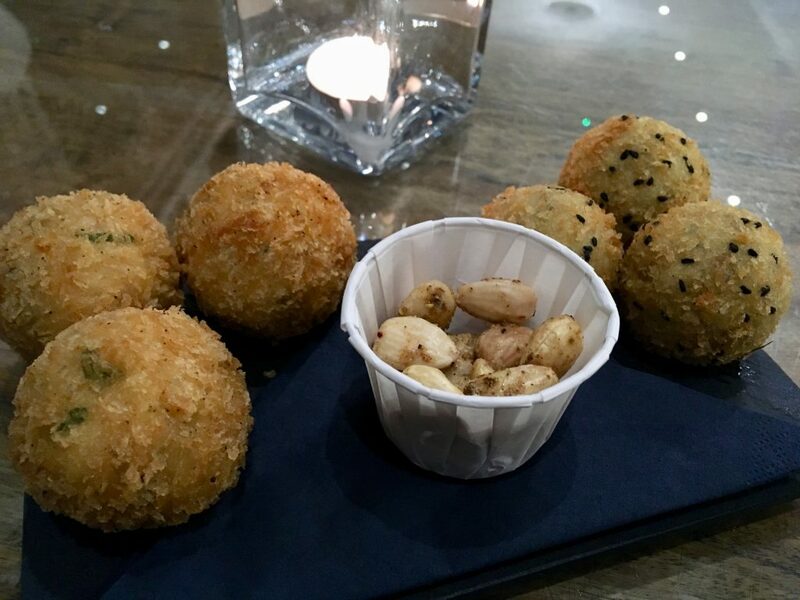 The waiter brought us over some salmon balls, vegetarian balls and mixed nuts as we were seated in the lounge area waiting for our table. Befitting the time of year and the old country house style, there was a roaring fire and deep, comfortable sofas to sink into. They offer a choice of two, three or five course selections from the menu. We ordered in the lounge area before being taken to our table. Once our table was ready, we were escorted through into the restaurant itself, which was up a few stairs and right next to the window. The restaurant wasn’t too busy, so all the diners benefited from window seats with lake views, and what a view it was! 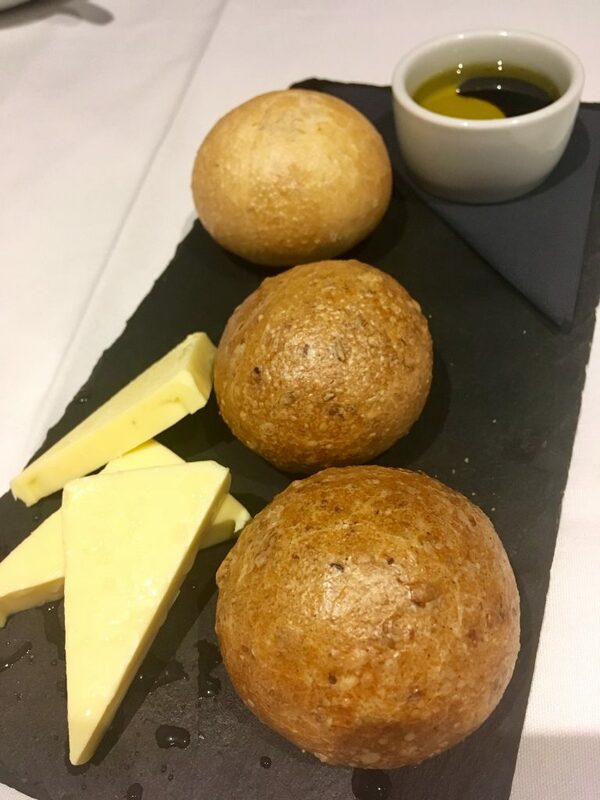 We had a selection of bread rolls, butter and oil on the table to eat whilst we waited for our starters. For starter, D had Morecambe bay brown shrimp risotto with dill, parmesan and lobster essence, which was beautifully presented and he said tasted delicious. I started with tempura vegetables that I enjoyed. 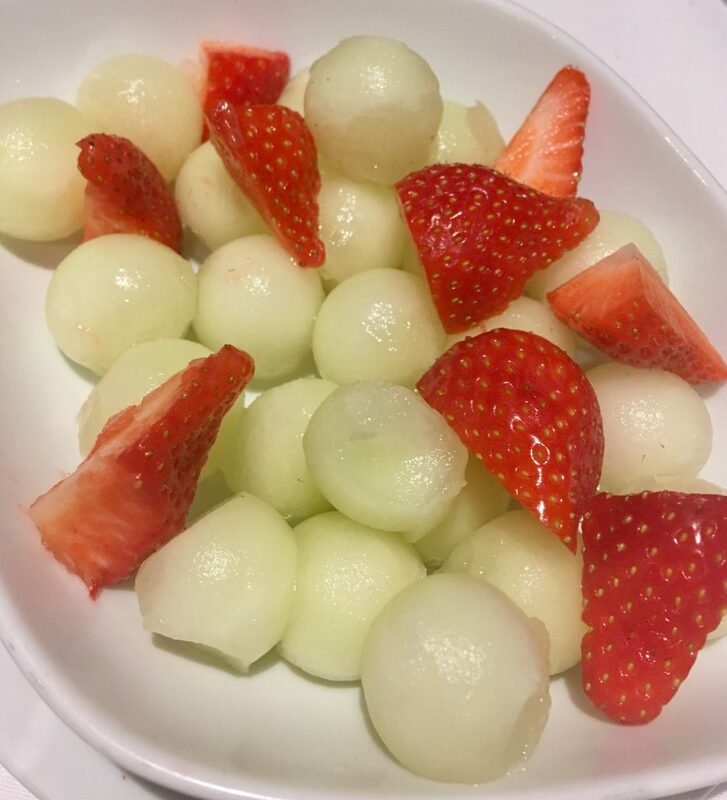 Lucas had melon and strawberry to start which was huge for a child’s portion. 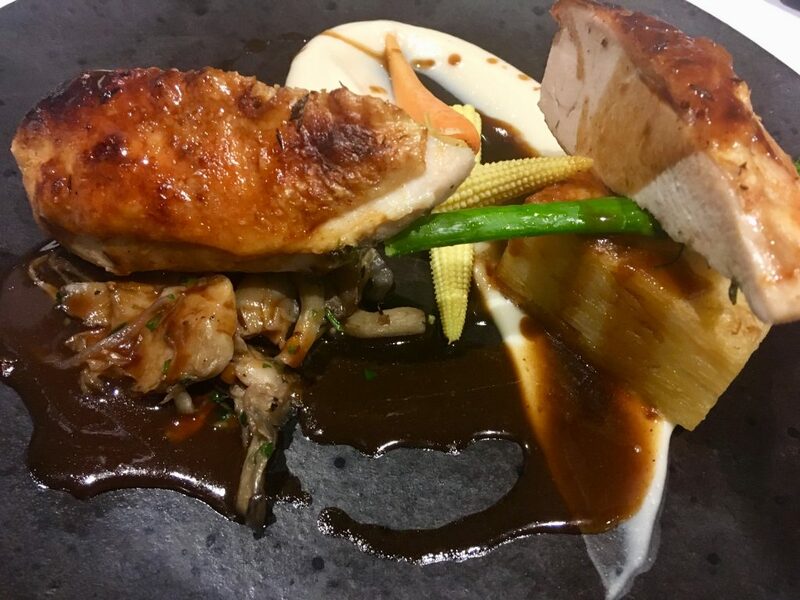 For main course, I went for poach- roasted Cumbrian chicken supreme, dauphinoise potatoes, wild mushrooms white truffle and cauliflower cream and enjoyed the different flavours coming together. 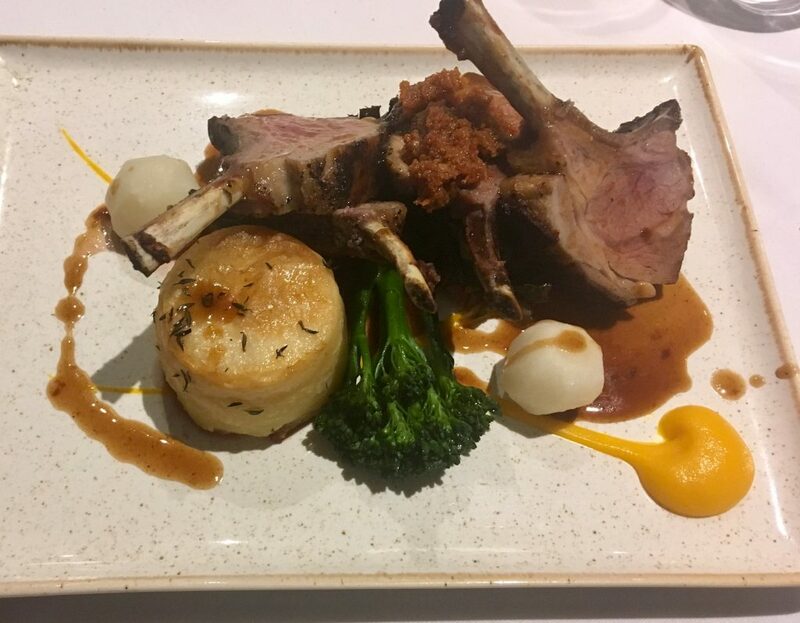 D had Kentmere Valley Lamb Rack with fondant potatoes, confit, swiss chard and red pesto. He loved the way the lamb was cooked and how well the red pesto and chard complemented it. Lucas had his trusty chicken nuggets and chips and there was enough to feed a small army! We were too full for desert so Lucas had some strawberry ice cream and I had a coffee that came with chocolate truffles. The food sounds and looks absolutely amazing! Great review, I would love to visit lake Windermere one day. The food looks amazing! I hate a wobbly table (although they seem to love me – wherever we go I get the wobbly table!) but it sounds like the food and service more than made up for it. Will definitely visit here if we are in the area. Thanks for sharing. The food looks very tasty. I would love to dine here. Lake Windermere is gorgeous and that food looks amazing!